The Kendall Rayburn Blog is a participant in the Amazon Services LLC Associates Program, an affiliate advertising program designed to provide a means for sites to earn advertising fees by advertising and linking to Amazon.com. 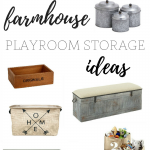 Keep scrolling for adorable farmhouse dog accessories! Hope you’re having a wonderful day so far! If you’re new to the blog you may not know about my love for animals. We currently have three cats, and two dogs. And if it were up to me, we’d have a few more. I grew up with animals, and they’re just an essential part of a home for me. 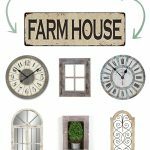 I also love the farmhouse style look as far as decor goes, and I’ve been searching for some pet items that fit the decor theme. 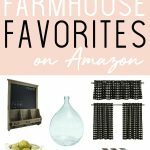 Well, I couldn’t believe how many awesome farmhouse dog items there were on Amazon! 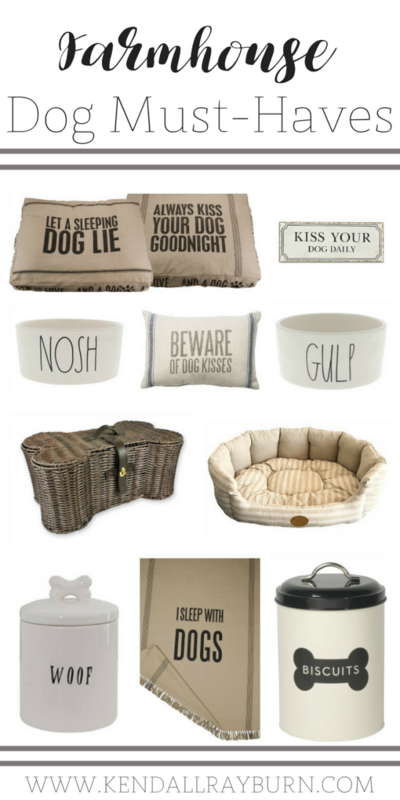 I am just in LOVE with this bone wicker toy storage basket, and I think these Rae Dunn dog dishes are just the cutest, don’t you? We have and love this Woof Jar, we currently store our dog treats in it and it fits in perfectly with our kitchen decor! But enough of my chit-chat, I could go on all day about dog stuff! Take a peek at the list below and find an item to treat your pup! 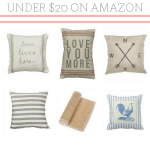 Oh my gosh these are all so cute! My dogs need all of them!